John Webber served as official artist on Captain James Cook’s third voyage of discovery around the Pacific (1776-1780) aboard HMS Resolution. 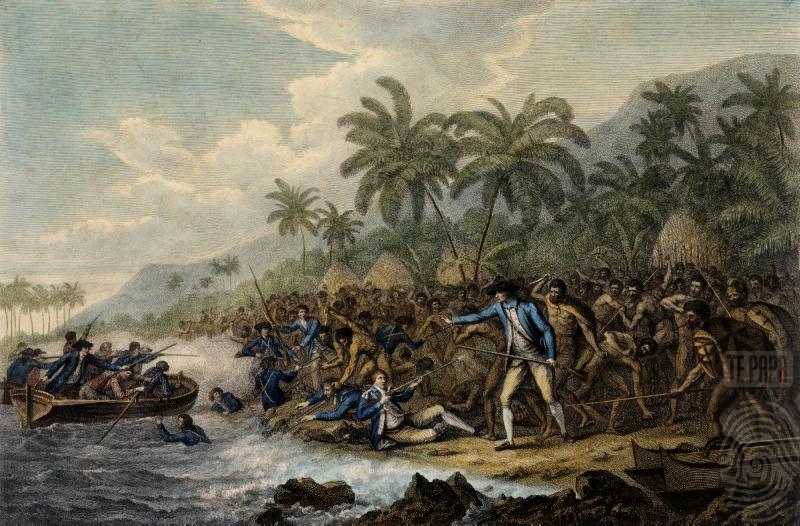 On this voyage, during which Cook lost his life in a fight in Hawai‘i. Webber became the first European artist to make contact with Hawai‘i, then called the Sandwich Islands. He made numerous watercolor landscapes of the islands of Kaua‘i and Hawai‘i, and also portrayed many of the Hawaiian people. I have uploaded a number of John Webber images (landscapes, portraits and other scenes) into a folder of like name in my Facebook Photos section.